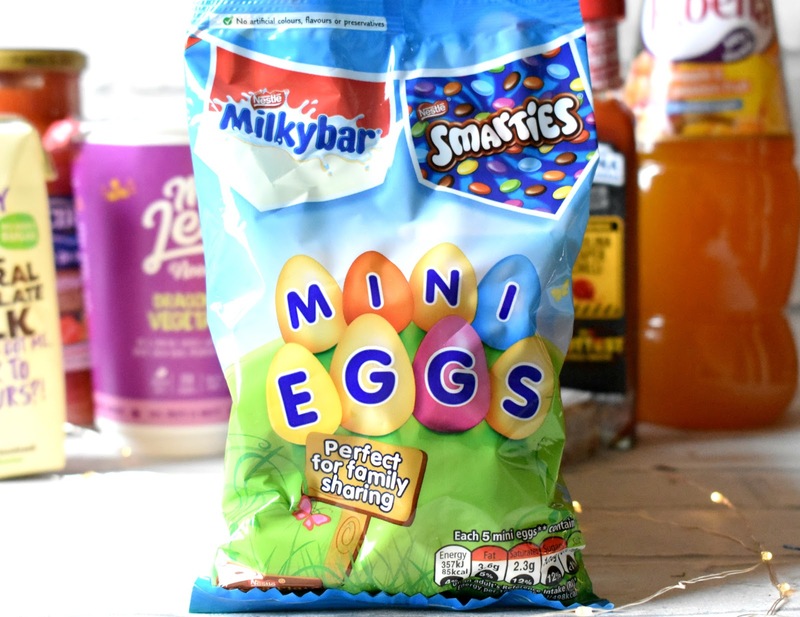 Firstly this month we have a yummy bag of Smarties & Milkybar Mixed Mini Eggs (£3.00), what a lovely Easter treat! I must admit I didn't even know these where even a thing until I opened my Degustbox and saw them sitting there all proud waiting to be scoffed, they where so nice! Next up is something a little healthier than the mini eggs and that's this little Hafervoll Flapjack (£1.99)! 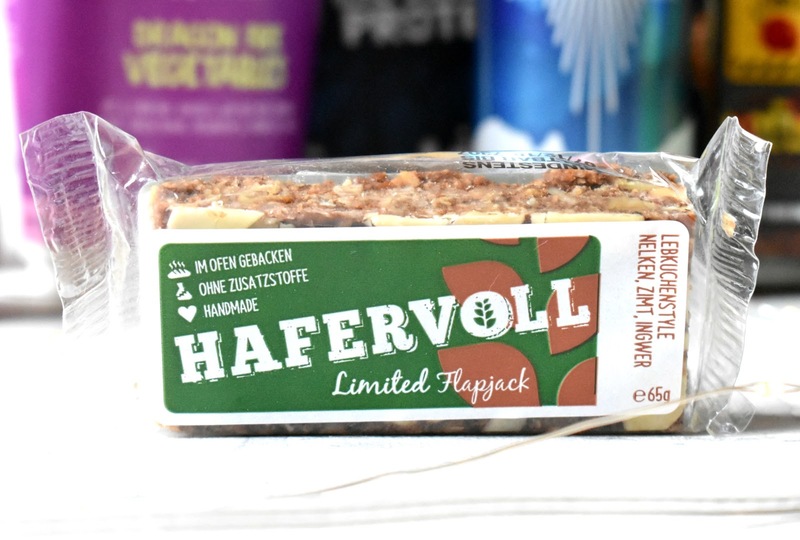 Hafervoll Flapjacks are actually the first 100% natural oat bars and don't contain any nasty's like sugar and chemical additives, it was so tasty and actually rather filling! Then we have Mr Lee's Noodles (£2.99), I call these yummy pots a posh Pot Noodle he he! 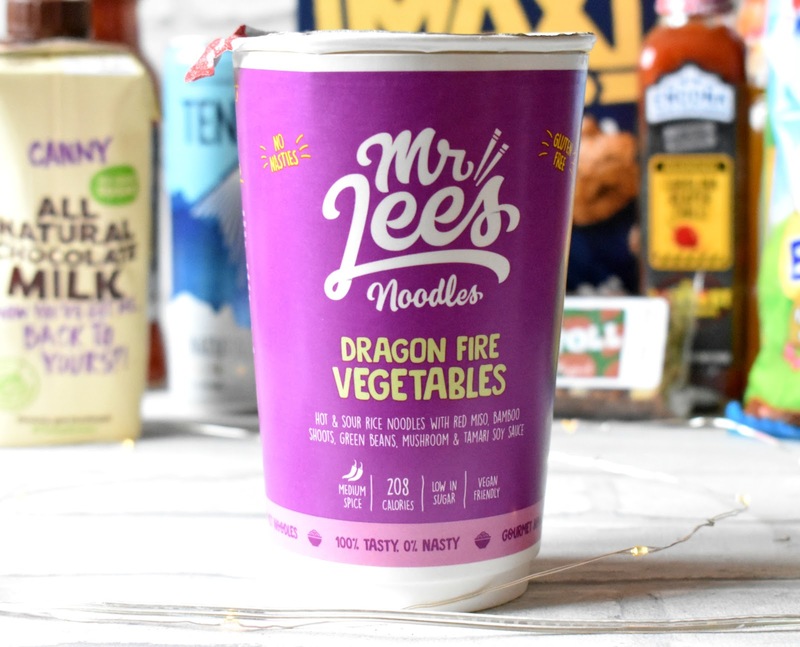 I had the Dragon Fire Vegetable flavour which was rather spicy for me but that's because I'm such a wimp when it comes to spice however it was still super yummy, and what I love about these noodles is that their gluten free, vegan friendly, low in calories and low in sugar! 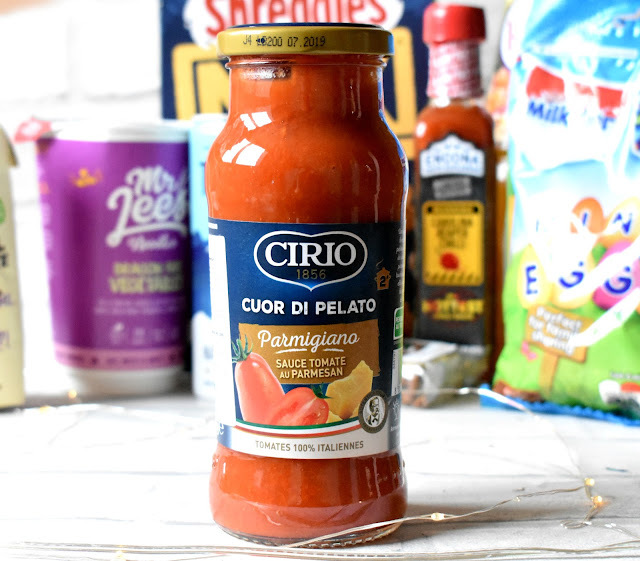 We absolutely love pasta in our house and I'm always rustling up pasta dishes so this Cirio Pasta Sauce (£2.00) wont last long at all. 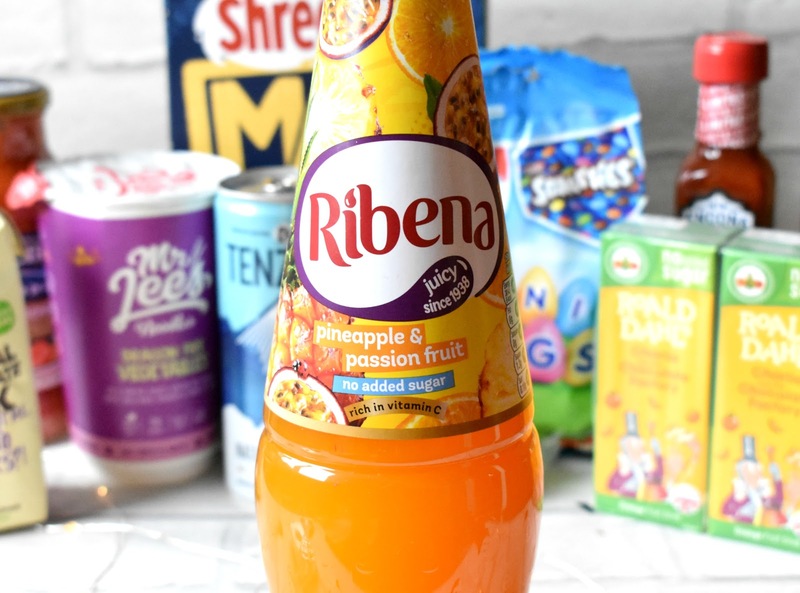 I have the Parmesan flavour and it's so easy to use, you simply warm it through and mix it through your pasta and voila! Then we had a can of Tenzing Natural Energy Drink (£1.19), this is a great 'pick me up' drink that isn't bad for you or full of sugar like normal energy drinks, it actually only contains six natural ingredients which is so impressive! 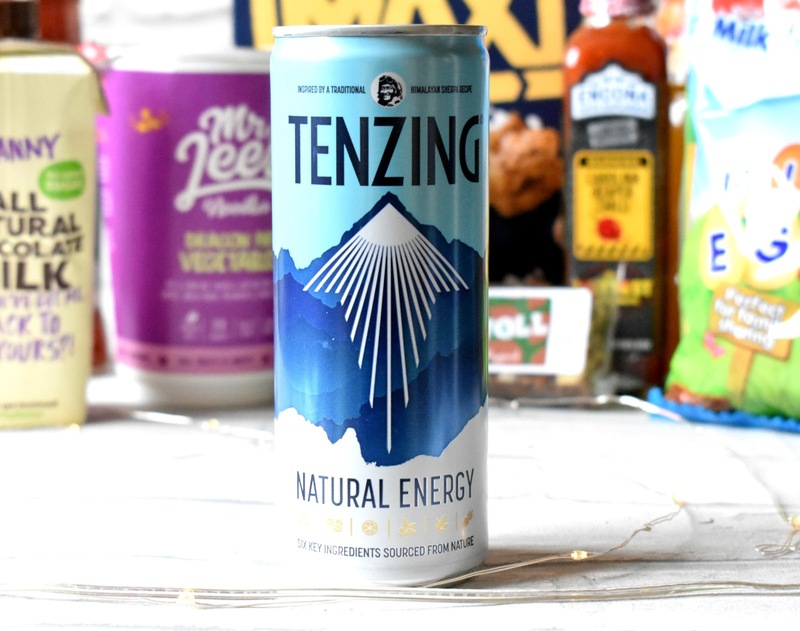 Oddly this did taste and smell exactly like Red Bull but is so much better for you than that stuff! 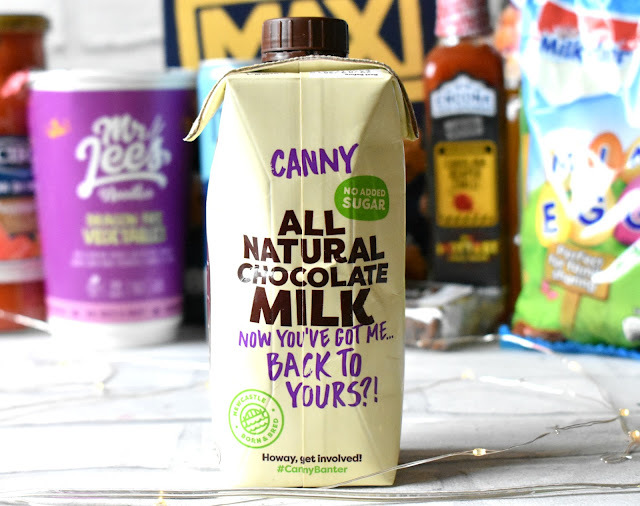 The next yummy treat within the March box was this delicious Canny 100% Natural Chocolate Milk (£1.59), my goodness this was good and I love the fact it's all natural because I didn't feel too naughty whilst I drank it he he! I do love a glass of Ribena (£2.49) but I have never ever tried the pineapple and passion fruit flavour so I'm looking forward to seeing what this is like, I can imagine it being so refreshing on a hot summers day in a huge jug with lots of ice, yum! 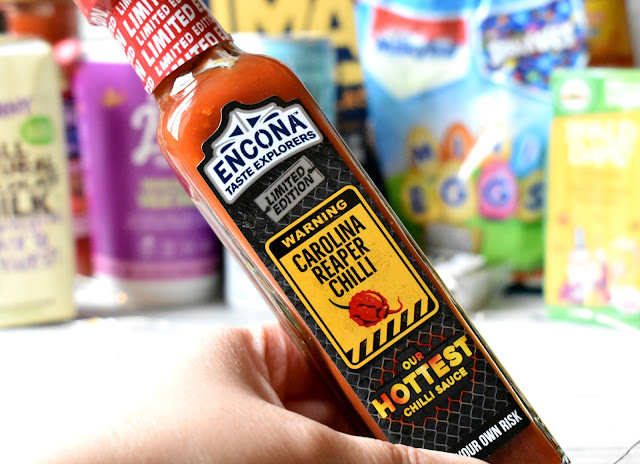 The next item comes with a warning so I will never be trying this ha ha, it's a bottle of Encona Carolina Reaper Chilli Sauce (£1.49) and as I said earlier on - me and spicy foods are not friends and this bad boy has a blend of the worlds hottest chilli within it so I'll be giving it a miss and giving it to someone who's more brave than me ha ha! If you are a lover of all things hot and spicy then this sauce can work as a marinade for meat or as a dipping sauce! I absolutely love Shreddies MAX Granola (£2.59), I buy it a lot on my weekly food shop so getting a box in my Degustabox was a right brucie bonus! 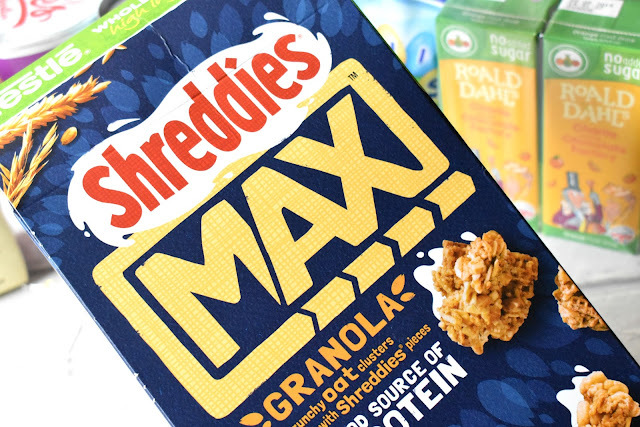 If you haven't tried these before it's a yummy combination of crunchy oat clusters and shreddie pieces, their divine with yogurt and fruit as well as milk! 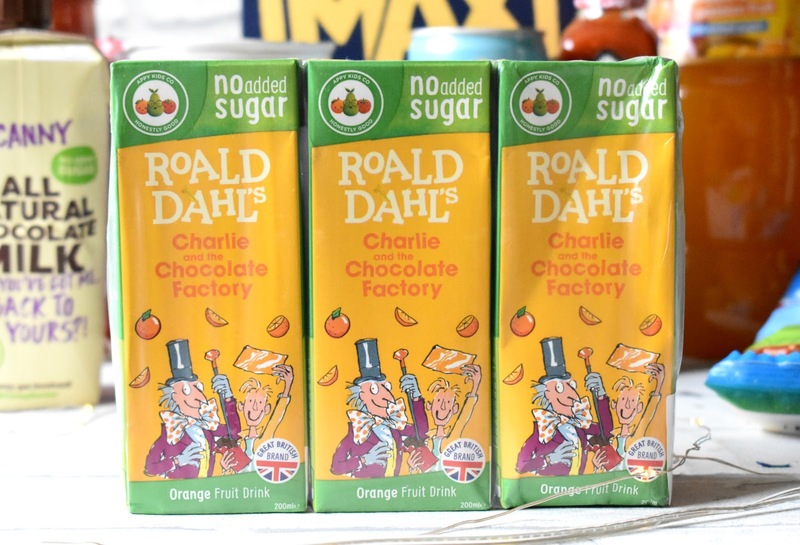 Finally this month we received a three pack of Appy Kids Co Roald Dahl Fruit Drinks (1.29), these are great for kids lunch boxes but if your an adult they will be gone in one or two yummy mouthfuls he he! Interesting concept - I like the idea of trying new food products before anyone else! That chocolate milk looks delicious as well. 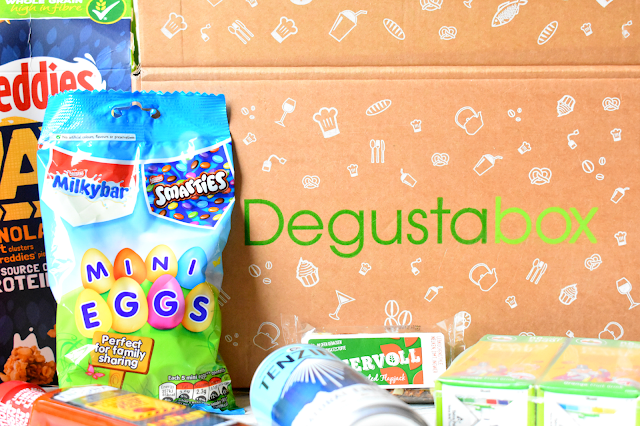 It looks like you get some delicious treats in these boxes, I might have to check them out!